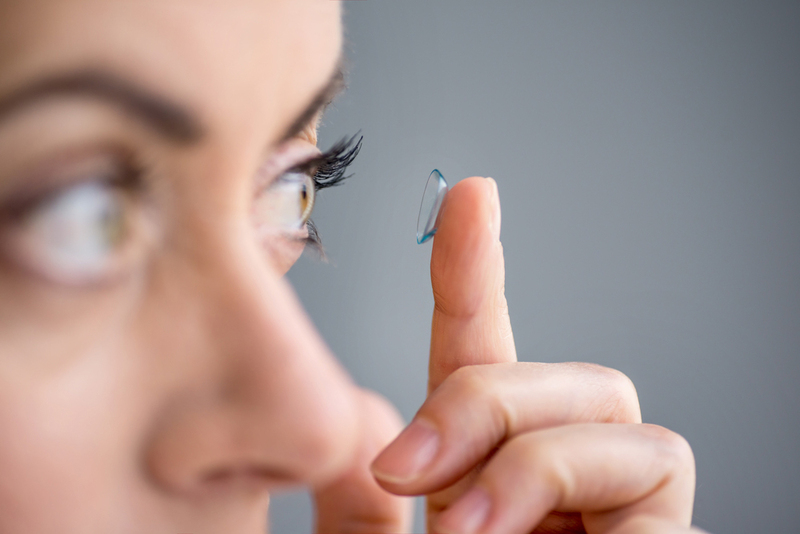 Contact lenses are a common form of everyday vision correction these days -- but there's more to selecting the perfect pair for your individual needs than you might think, especially if you're getting ready to order your very first pair. With all the contact lens options currently available, how do you decide on the right pair of contacts? Here are some general considerations to help you figure it out, courtesy of your friends at Eye Site. Complexity or severity of refractive errors - If you suffer only from mild nearsightedness or farsightedness, soft single-vision lenses be all you need. But if you suffer from multiple refractive errors, complex refractive errors such as presbyopia, or a particularly severe refractive error, you're going to need more advanced lenses. Health problems or sensitivities - Underlying health conditions can limit your range of contact lens choices. For instance, some contacts retain moisture better than others, an important factor if you suffer from dry eye. Soft contacts are notorious for picking up proteins that can cause an irritation called GPC (giant papillary conjunctivitis) in sensitive individuals, so you may need to go with rigid gas permeable contacts instead. Usage preferences - Some people want to wear their contact lenses every day (or even overnight, to provide a clear vision as soon as they open their eyes in the morning), while others may only pop their contacts in once in a while as an alternative to eyeglasses. This can mean the difference between choosing single-use disposable lenses or extended-wear lenses. People who haven't the time, patience or inclination to clean their contacts can avoid dangerous infections by choosing single-use contacts. A contact lens exam at Eye Site allows us, not only to measure your eyes for a perfect fit but also to discuss these various factors with you so we can make the wisest possible contact lens recommendations. Whatever type of contact lenses you need, you'll find them at our Houston or Katy clinic. We offer a variety of soft contacts, from single-use disposable lenses to the reusable varieties. You can also get rigid gas permeable lenses for superior vision correction of all kinds of refractive errors, including multifocal lenses to correct your presbyopia and toric lenses for patients with astigmatism. We can even help you choose the safest and most comfortable lenses for dry eye. Your journey toward the perfect contact lenses starts with the perfect contact lens exam. Call Eye Site at either of our offices to schedule your contact lens exam today!